Rüdiger Bergien is Privatdozent at the Humboldt University Berlin and a postdoctoral research fellow at the Centre for Contemporary History in Potsdam. His many publications include, most recently, Im Generalstab der Partei: Organisationskultur und Herrschaftspraxis in der SED-Zentrale (1946-1989) (2017). Jens Gieseke is head of the research department “Communism and Society” at the Centre for Contemporary History in Potsdam, Germany. His most recent publications include The History of the Stasi: East Germany’s Secret Police, 1945–1990 (2014) and as co-editor, The Silent Majority in Communist and Post-Communist States: Opinion Polling in Eastern and South-Eastern Europe (2016). Chapter 14. 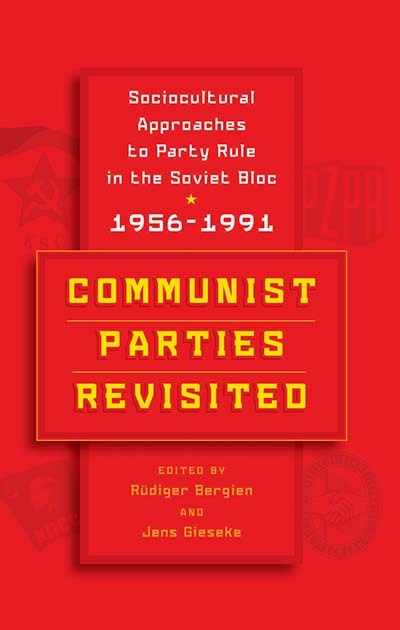 Inside the System The CPSU Central Committee, Mikhail Gorbachev’s Komanda, and the End of Communist Rule in Russia.